THE SPLat system is an Australian alternative to programmable logic controllers, designed specifically for embedded use by original equipment manufacturers. Incorporating a sophisticated electronic control system into an organisation’s product is easy and affordable using SPLat. The system is available from SPLat Controls. SPLat have a range of off-the-shelf programmable controllers, expansion modules and special purpose function modules. Prior to SPLat, the OEM would typically have to make do with functionally restrictive programmable logic controllers or single board computer products. 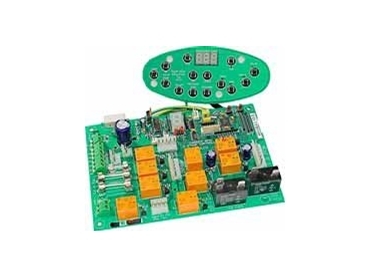 The only way to get an exact fit for their needs was to undertake a fully custom electronic controller design, which is expensive and time consuming and entails a high risk of failure or cost over-run. In addition to its off-the-shelf range of products, SPLat offers the possibility of making a custom or semi-custom programmable controller in quantities as low as 20 per year. These are based on the established SPLat technology and support materials and offer the OEM a virtually risk-free way to get the exact form, fit and function that suits their product. All SPLat controllers, both off-the-shelf and custom, are easily programmed in SPLat's controls-optimised programming language. A customer with no prior controls programming experience can produce useable programs in a few hours. The programming software is free and there are a huge amount of training materials available. For customers who prefer not to do their own programming, SPLat can provide a full support service either directly or through third party contractors.